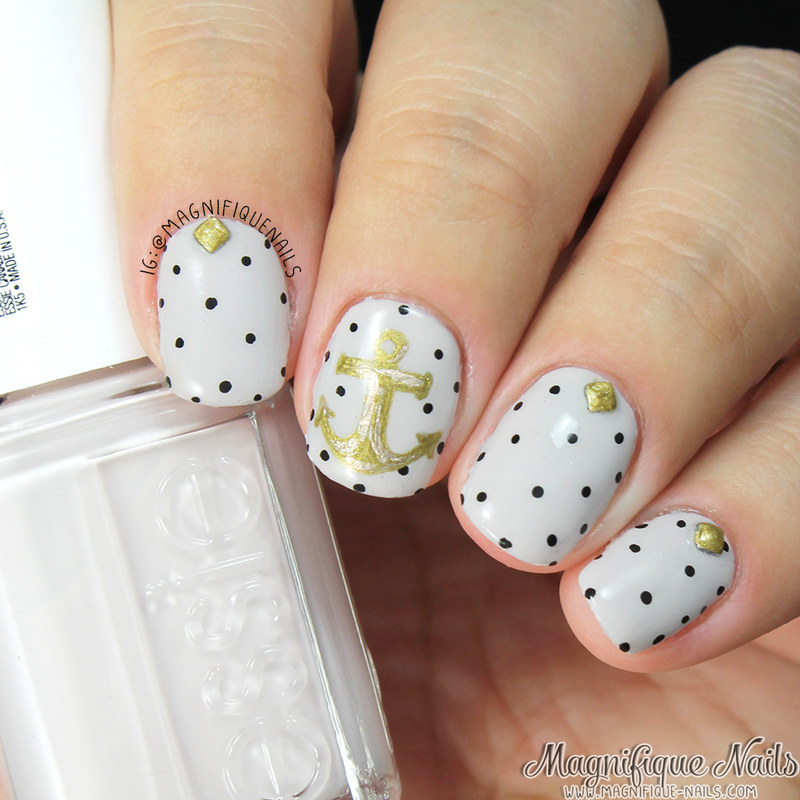 Magically Polished |Nail Art Blog|: Triple Bestie Nails: Anchor Away! 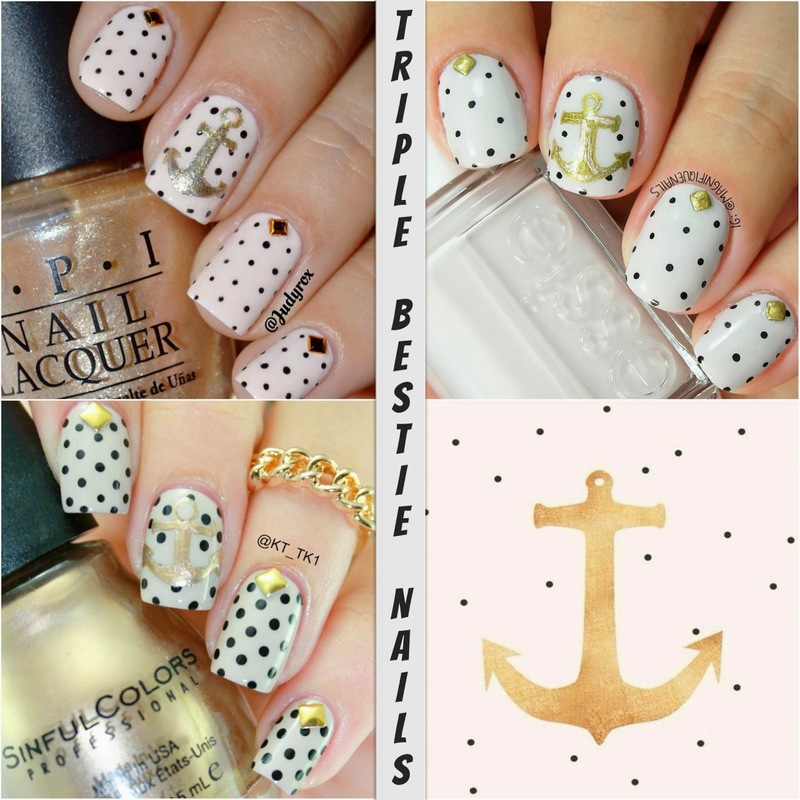 Triple Bestie Nails: Anchor Away! Hey guys!! It's that time again! Not only do I have a besties nails, but a triple besties nail, for today. A few months ago my two good friends Judy from @judyrox and Kathy from @kt_tk1 and I thought it would be incredibly fun to do a triple besties nails together. We were all inspired by this pretty pattern I saw online. I had this picture for a while now, and thought to be the perfect photo to do with my besties. 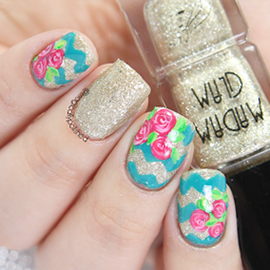 Not only it was easy to do, but super simple and cute for the summer. 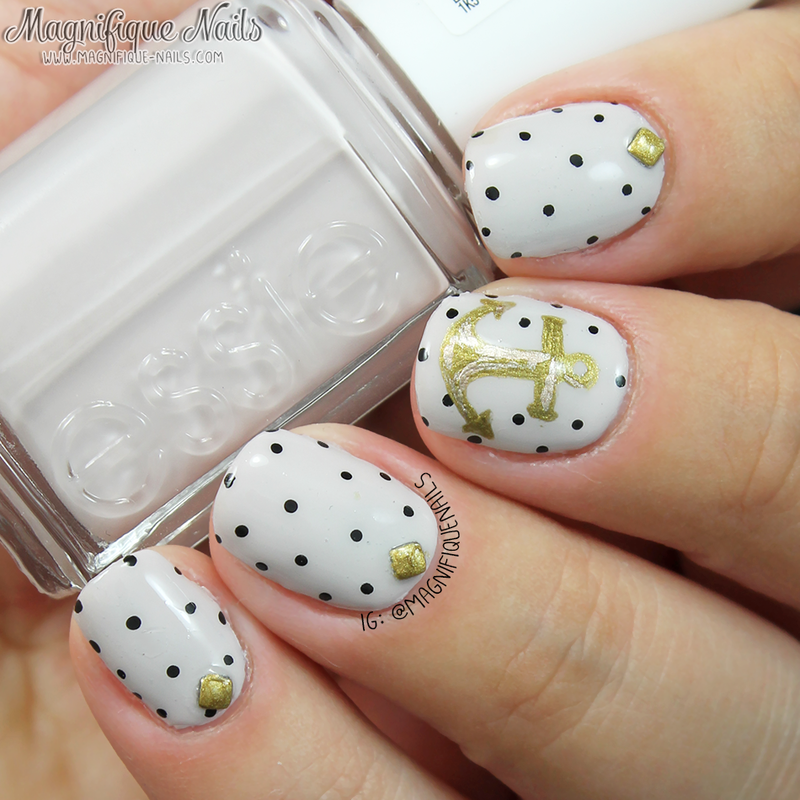 The contrast of the polka dots and anchor looked amazing together. I was really surprised how different each of our designs look, but nonetheless, they all look incredible. 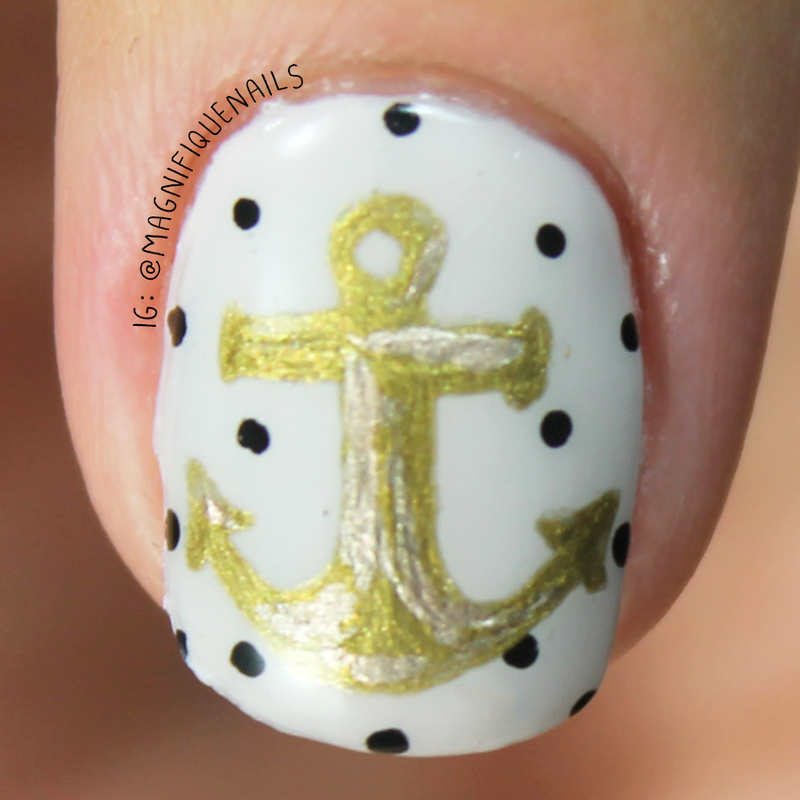 I haven't created many summery nails, but I have noticed anchors are my go to design this year. It's probably my subconscious getting tired of seeing palm trees...haha! Not that I mind palm tree nail art design, they are also super fun too, and I might do another one sometime. For the design, I began by applying two coats of Essie Urban Jungle. A perfect off white creme that was perfect for this design (check out the review I posted here). Once the polish was completely dry, with the smaller version dotting tool, I added polka dots on all the nails-- using black acrylic paint.